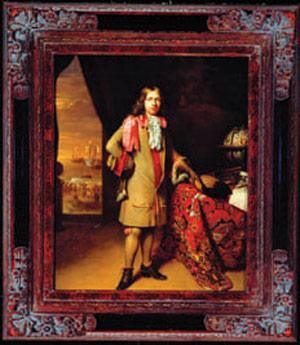 Dutchman Willem de Vlamingh was born in 1640. When aged just 24 took command of his first ship and for several years hunted whales and walruses off Greenland and northern Russia. In 1688 de Vlamingh joined the VOC and made his first voyage to Batavia in the same year. Following a second voyage in 1694 he was given command of three vessels – Geelvinck, Nijptangh and Het Weseltje – to search for Ridderschap van Holland, a VOC ship lost en route to Batavia. De Vlamingh was also to chart the southwest coast of New Holland to improve navigation for merchant shipping. The three ships set sail from Amsterdam on 3 May 1696. Although they did not find the Ridderschap van Holland, de Vlamingh did chart parts of Western Australia’s coastline and explored Rottnest Island and the Swan River before anchoring in South Passage off the southern tip of Dirk Hartog Island 30 January 1697. Several days were spent exploring the area and collecting turtle eggs on a beach now known as Turtle Bay. They found Dirk Hartog’s plate at Cape Inscription on 4 February 1697. Recognising its historic value, de Vlamingh removed the plate and replaced it with his own. Onto the new plate was copied the original inscription and added an account of his own landing. He returned Hartog’s plate to Amsterdam. On 11 February 1697, de Vlamingh’s fleet set sail for Batavia. His plate remained untouched at Cape Inscription for 104 years before being found by Nicolas Baudin’s expedition in 1801.